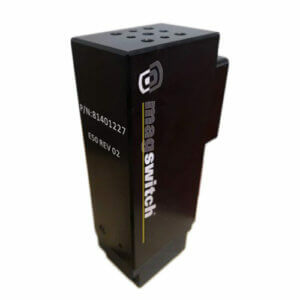 Magswitch MagDrill Disruptor 43 is a brand new member of the MagDrill Disruptor Series that offers superior magnetic performance on a range of steel-flat or curved surfaces. 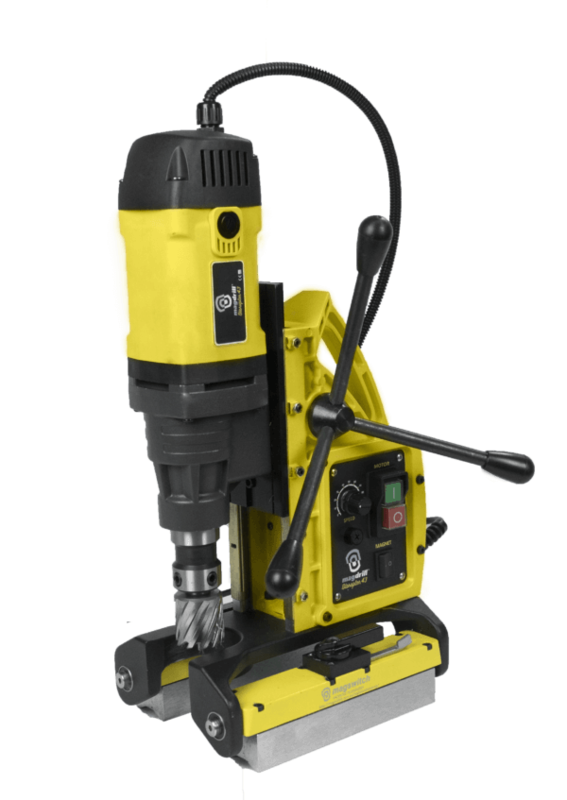 With an incredible hold on thin steel, Disruptor 43 is our middle level drill with added features! 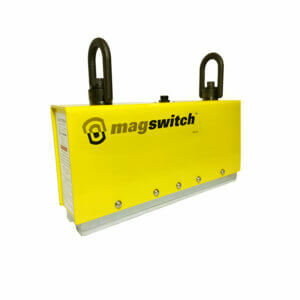 • Powered by our patented technology, our magnets do not require electricity and stays in place during power loss. 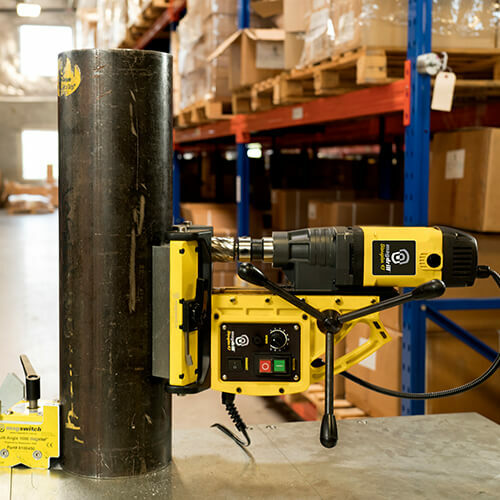 • Lightweight, compact and safe magnetic drill. 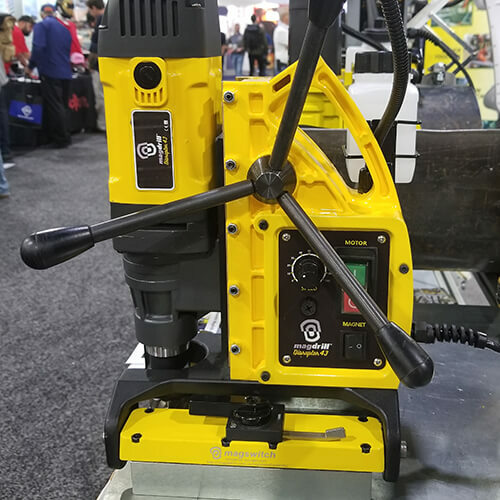 • Drill holds strong on thick or thin steel (down to 11 gauge!). • Swivel base can be used on flat as well as curved surfaces. 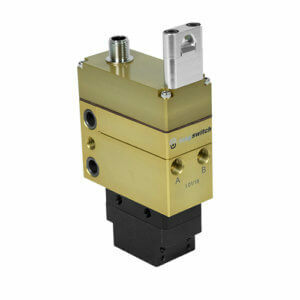 • Can be used on 3” pipe and up, inside or outside the curve. 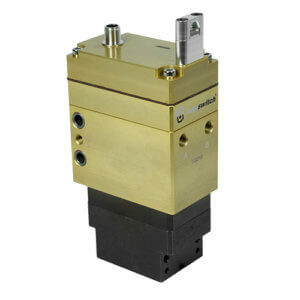 • The base magnets can be ‘partially actuated’ in order to slide the drill into precise position. 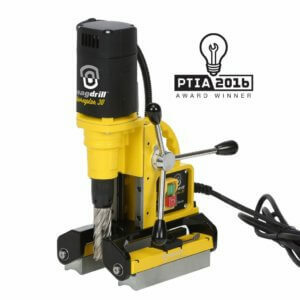 • Easy cleaning, inspection and maintenance as one magnet can be turned off and the other can still hold while pivoting the tool. 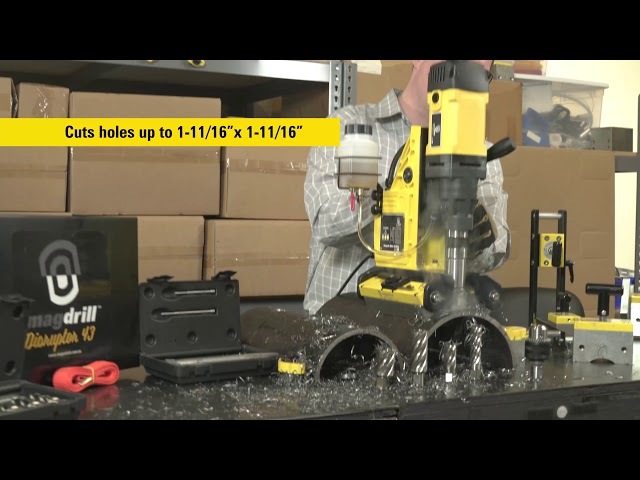 • Drill cuts holes up to 1-11/16” in diameter and 1-11/16” deep. 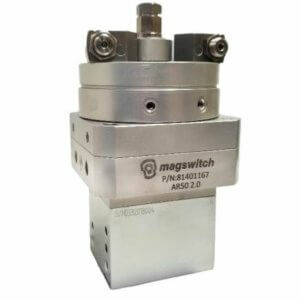 • Standard ¾” Weldon spindle will take popular cutters. * Max Breakaway determined in laboratory environment on 2” thick SAE1018 Steel with surface roughness 63 micro inches.